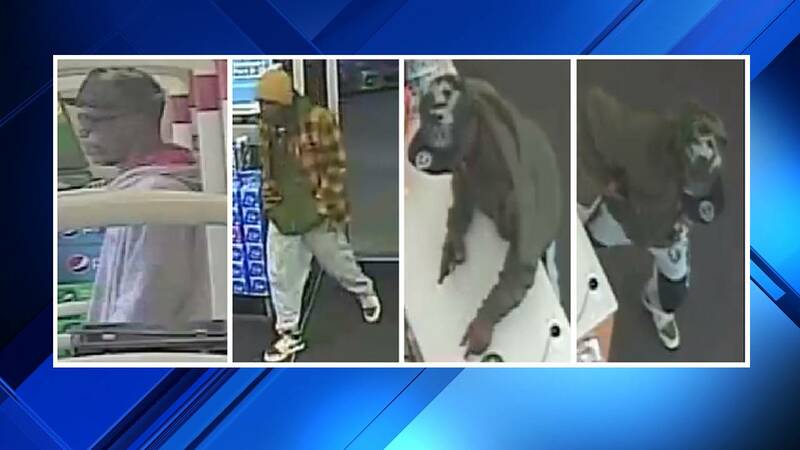 JACKSONVILLE, Fla. - Police are asking for the public's help identifying a man suspected in multiple armed robberies to businesses throughout the city, the Jacksonville Sheriff's Office announced Thursday. In each case, according to the Sheriff's Office, the man was armed with a handgun, approached an employee at a register and demanded money. Police said the man is described as being about 25 to 35 years old and being about 5 feet, 6 inches to 5 feet, 8 inches tall with a skinny build. In several cases, according to police, the man was seen wearing a tan or olive green hoodie jacket, gray sweatpants with black patches over the knees or white track-style pants, a camouflage hat with a sticker on the bill, and white and black shoes. Police did not specify when and where the robberies took place. Anyone who recognizes him is asked to contact the Sheriff's Office at 904-630-0500 or email JSOCrimeTips@jaxsheriff.org. To remain anonymous and receive a possible reward of up to $3,000, contact Crime Stoppers at 1-866-845-TIPS (8477).